I write this for the future, as it seems death is always in the horizon, and knowledge should not die with its owner, but preserved as flowers in a garden. The common elf will more often than not be able to properly identify the two main types of dragons, Chromatic and Metallic, as these Dragons are native to the material plane and found here in a bothersome, if decreasing, amount. Chromatic dragons were unconscious creations of Mercius, a dream of power thrusted them into the Telluric flux early in creation forever setting its tone. As I understand, this is the equivalent of divine dreamwalking. According to reliable information from several sources, Thiamat was a merging of the most powerful of these to create a being capable of claiming godhood. Its drive and ambition were pathological and incapable of coexistence with previous forces. Such is the nature of almost all chromatic dragons. Almost, for it is so easily forgotten, but three chromatic dragons were essential for the elven rebellion as spies. Their reasons are assumed to be their superior (if unusual) moral character, they risked their lives and all perished in the end. Writing their names would take longer than the scroll permits, but if you cast history to the 7th day exacly two hours after the second total solar eclipse since the death of Sarevok in this scroll you will hear me recite them. The King pressioned by his sons was way too extreme in condemning all chromatic dragons to death, but he was gonna see reason in time. If not for those traitors. For the ridiculousliness that is the elven council, this whole situation could have been dealth with long ago. For dragons, are extremelly greedy and ambitious, but only a few are incapable of coexistence and dangerous. Not everyone wants to take the chance tho. So the gods embarked on a quest to create something that would be able to fight the other dragons. Unlike the chromatic dragons who were created in the material plane by Mercius dreams of power, this would take place properly, in the dreamworld. First Mercius tried creating the next dragons by using the earth itself. The sages tell that Mercius, at First alone, started using raw earth elements to shape dragons into being. At first he used the most pristine and precious Gems he found in several planes, even in the material one. These were sometimes called, Gem Dragons. The Jade Dragon was created around this time, the only one of its kind. Apparently Mercius was not enjoying the results of his creation. They were tipical examples of Mercius vision that came somewhat uninspired, as if the deity was not in the mood of doing what he was doing. The earth based dragons were aloof, solitary and self-centered, even if curious and neutral. 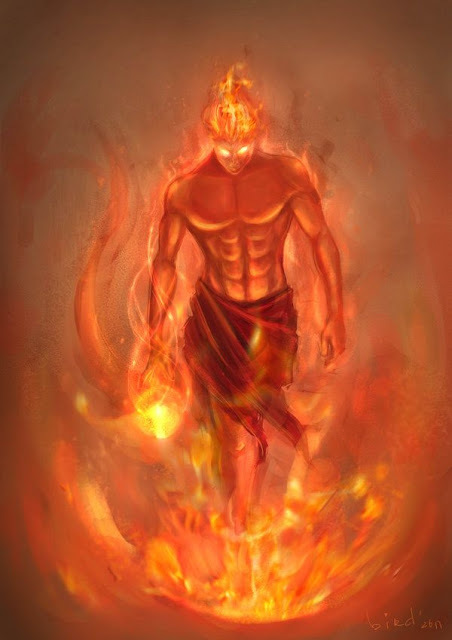 After trying over 20 types of earths, he was frustrated, and decided to try to make a divine-like being that would be able to act as a god against thiamat. 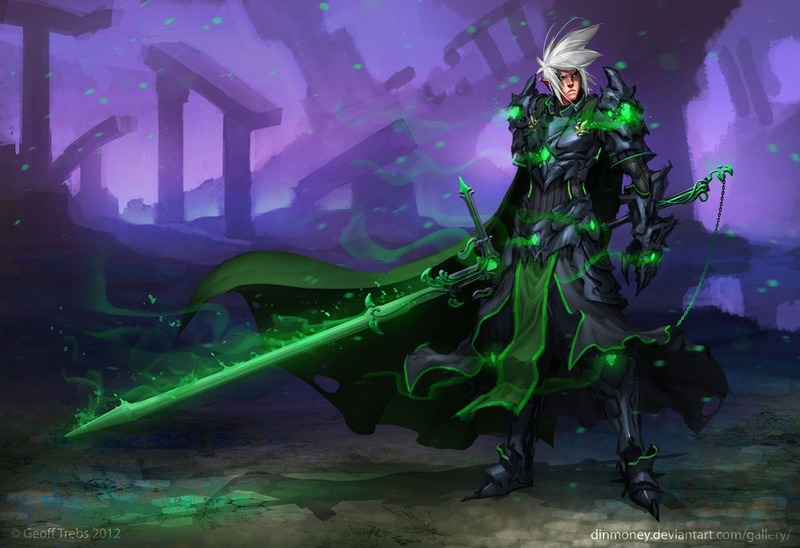 His first attempt was the jade dragon, this extremelly powerfull spirit was even more powerfull back then, and he immediately resented having being made to fight thiamat, and was interested in other stuff (again reflecting Mercius state). Still it was sent along with a horde of gem dragons to fight the chromatic dominion of thiamat. The chromatic dragons won so big, that they acted as if they became unstoppable, they had just defeated the creator and were on their way to invade the heavens and takeover. Training massive armies, and increasing their power every day. Then Mercius summoned his most powerfull children to assess the situation, and lend him different perspectives on what should be done. Any solution that didn’t involve him taking an active role was his desire. Bahamut was the solution. As before a dragon would be created to fight Thiamat, but this time, it was done in a spectacular scale. Using knowledge from previous attempts, the help of Petrus and Ursonis and the incriedible power of Aestus, they created Bahamut, the Dragon God of metallic dragons, eternal enemy of thiamat, chaos and evil. His greatest gift, is the capacity to create metallic dragons in the dreamworld. The gods returned to their own affairs and left Bahamut to create a true army in the ancient dream realm of Elysium. After a laboring process, that was aided by many spirits, ursonis, and aestus, an army of 10 thousand was ready. He ordered them into the material plane thro the ursonis kept dreamgates and established powerbases immediately. What followed is the great draconic war. This war lasted many centuries with neither side making a move. Until the three spies enabled the existance of an elven resistance. When the elves started being supplied with top notch intel, they were able to attack while their overlords were engaged in battle, and cause significant damage before help could arrive. The elementals eventually joined the fight, and an alliance between the air elementals, elves and metallic dragons was created against the chromatic dragons, other elementals and their subjects. It was risky for the elfs to rebel so many took refuge with the dragons, but the majority ran to the elemental plane of air, where the dragons usually were killed quickly by the 1st Phlogiston tactical brigade. Despite the metallic contribution, by the end of the war after thiamat died there were many traitors on both sides, many chromatic dragons had changed sides more than once, and a few metallic dragons turned out to be chromatic dragons in disguise. Their disguise was so good that it was impossible to divine it by magical means. And so the king made a decree by which every dragon would be treated as foe until proven otherwise. And well, when you have the necessity to verify something that is impossible to verify, that pretty much becomes a death sentence! As paranoia and Dracophobia were rampant at the time, they were at first shunned, then driven away from elven lands, and finally, hunted down, for never again the risk of thiamat was to be allowed to exist. Eventually the king found out a way to track dragons by binding his blood to them, maybe that’s why he acquired such extreme attitudes… and invited all the curses that befell him, blessed be his name, Sarevok the Dragonslayer. His measures were extreme, but it worked. Now I don’t think theres any way to really grasp the full repercussions of his measures, but as far as I know, no dragon is bothering to mask themselves (its very costly) if they are attacked regardless of color. Altho for this reason, you can never fully trust a dragon, unless it’s also a cleric of bahamut. And if its one powerfull enough to mask his type, boy you are fucked, best hope is being slaved until better times arrive. Today there are still many dragons hiding out there, even on other planes, the royal family continues its pursuit with fanatical fervor. I heard many tales of metallic dragons that didn’t deserve to die being killed, it’s a tragic tale. The smart ones either went to the dreamworld to try a better life or remained hidden very far from anyone. The Dragonslayers powers make them such fearsome foes against the dragons that its not even a contest, and theres no more organized menace, so they are just being hunted down one by one. According to the calculations of Ursonis, which I was shown in a dream, the aberrations and thiamat made a pact of mutually assured indestructability. You see, Thiamat was made of Mercius dreams, in a way, before they merged, the dragons involved were the first of their kind, almost gods amongst the other of their kin, and held massive powers and domains, and they were a part of the root of creation, in a class of creatures that even mercius cant destroy without severely altering the world. But their ambition was almost a cosmic force connected with their massive powers. They saw that by merging they could elevate themselves to the point of being a deity of power equal only to chrysalis and mercius. The naturalist in me begs for this metaphore, imagine thiamat at this point was part like a hugely important fungus in a primitive ecosystem of dream entities, immensely powerful as a natural expression of the telluria, it IS impossible to completely destroy thiamat without also destroying the material plane and the divine coil that binds everything. So mercius decided to go back in time, shattering the Overton window of our reality and sending the chronomantic ripples that attract the elder gods. With the window open, the paradox was able to come from the nether in full force, no longer corrupting reality from the outside, it now had a foothold here and this changed everything forever. When mercius realized how impossible and futile it was to undo the damage thiamat had done to the cosmic alphabet, the cosmic song and the telluric weave he decided, like most spontaneous divine singularities do, I assume, to reverse time. The attempt to reverse time was the real original sin of mercius. Instead of reversing time, he duped time, a process not fully understood, but when chronomancy is used in combination with amazing divine powers, there is the highest known concentration of Paradox ever measured. The accumulated paradox enters critical mass as by the ursonis equation scroll, and releases a discharge of interdimensional cosmic energy that causes all sorts of effects. And I mean ALL sorts of effects. Duplication is simply the simplest form of energy discharge in the universe. In the case of Mercius, it duplicated reality to the moment before he tried it. This resulted in several realities being created in advance, the equation which explains their limit is the speed of kronos equation. In the Ursonis dreams Vol II. It is said that some beings may be able to copy stuff with chronomantic powers. The aberrations are known to dupe items of power, for instance. When thiamat started losing, it was seduced by the paradox elder beings, and made a pact with them, where, like some kind of .. lich, it was bound to something else, unreacheable, and indestructable. And that is why we must always fight it. Thiamat was working with them, and for that, it is only a matter of time before it comes back. The reasons for this are simple. There are cultists of thiamat hidden outside of creation, beyond the reach of any do-gooder, so its only a matter of time before they amass power and return because they will always be able to lock in a secure connection due to original thiamat imprint. The greater the imprint the greater the connection between our world and the corrupted worlds warped by the paradox. And this imprint can be increased by evil theomancers like Oprimax and Nimrod. Or gods forbid, they make him powerfull enough to activate his mortal coil.It has been prophezised that the day this happens, the third aberrant invasion will beggin. The planeswalker legend says that nothing survives entropy, but one can contain the paradox if one knows how. I have talked to dragons, and most of chromatic ones really resented the corruption of the world done by the aberrations but just didn’t care enough to fight them, specially being hunted by the elves. In a way we forced many of them into going to them for protection, or into the lower planes. Altho im sure its just a matter of time before they attack full force again, I have hope for the future because I just heard from my friend Graw (the current chosen of chrysalis) that the gods are supposed to vote on banning teleportation and magical flight and some other things to reduce the paradox level across the board, they seem to be coordinating it through kronos (see kronos scroll), so they all do it at the same time to avoid a paradox wave, and its gonna take some millenia, but it should happen! Im sure a bunch of wizards will cry their asses out, but its for the greater good. The origins of dragons is a tragic history, with many actors, and endless details, but the essence of it, is that we in the end, we are only marginally better. And if we don’t improve, we will end up having the same fate, a dying race with no sense of real purpose incapable of going thro the world we once claimed as ours as newer races break the Overton window into existence. A big thanks to and for Ursonis, the best thing Mercius ever made, and to my friend Overton, the scholar planeswalker.